Below are the announcements and important news for members and friends of our protogrove and Druidry in general. We invite those interested in a Druid path to join us, the Coast Oak Proto-Grove, located in central San Diego. Coast Oak Proto-grove was founded to explore the path of nature based, earth-centered Indo-European Druidry. It is open to followers of Druidism, Modern Druidry and those interested in learning more about the Druid path. This group is associated with Ár nDraíocht Féin (Our Own Druidry) and is open to other Druid paths. Our grove is open to those whose pantheons are from Indo European cultures including Celtic, Germanic, Baltic, Vedic, Hellenic, Roman, etc. Druidism is a spiritual lifestyle that applies the nine virtues (wisdom, piety, vision, courage, integrity, perseverance, hospitality, moderation, and fertility) to our daily lives. We hope that you will find here a community to encourage you and help you learn about Neo-Pagan Druidry. In addition to a place for Druids to fellowship and grow in our faith, we support the San Diego Pagan community and the wonderful groups that exist to provide opportunities for Neo-Pagans to associate and learn. For more information about our rituals, please visit High Holy Days. Visit ADF's article on ritual for more information. 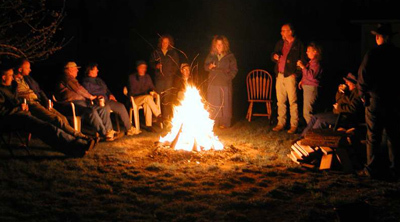 Join us at 7PM on the First Tuesday each month at Tree of Life for discussion of Druidry. Fee: $10.00 donation, contact sddruids@yahoo.com for directions/address or Tree of Life. Presented by Coast Oak Protogrove, ADF. San Diego Pagan Pride Day is 20 September 2008 at Balboa Park. Join us as we offer Druidic ritual, a short presentation and friendly faces at the event. Stop by our booth anytime. For more information on Pagan Pride in San Diego, visit their website. San Diego Pagan Pride is part of The International Pagan Pride Project, a non-profit organisation dedicated to the elimination of prejudice and religious discrimination through education, activism, charity, and community. 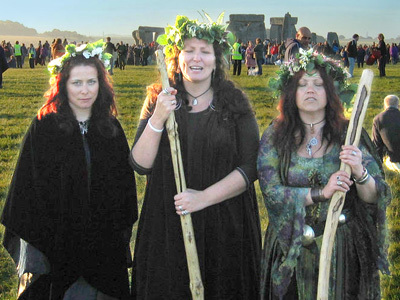 Pagan Pride Day celebrations are held annually around the world within a few weeks either side of the Autumn Equinox. ADF membership is rising to $25 / year. It takes effect January 15, 2008. Please make a note of that before sending in your dues or renewals. If you pay by PayPal, please add a few extra dollars to cover the costs of using that service. As always, feel free to donate extra money to the Mother Grove. Please also include your grove affiliation (i.e. Coast Oak Protogrove) when renewing. That way the Mother Grove knows what Grove you're attending. It helps us get more resources from ADF when we have lots of paid and affiliated members on file.